What effects will the current economic crisis have on the long-term development of our societies? What does the future hold in store when we emerge from the crisis? 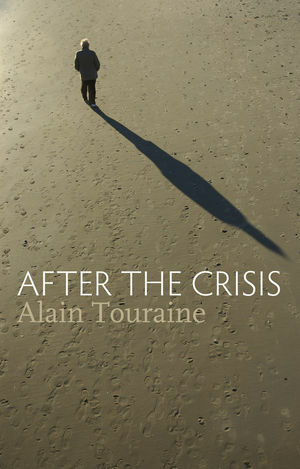 These two questions lie at the heart of this important new book by the leading French sociologist Alain Touraine. In an era dominated by the global economy and the triumph of individualism, our society has broken away from the old model of integration in place since the industrial revolution. We no longer see ourselves as players in an economic system around which every aspect of society is ordered but rather as individuals with our own rights, capable of creating our own lives in a world in which cultural values prevail. The financial crisis and the growing autonomy of speculative and financial imperatives have exacerbated the rift between the economy and society and could push this long-term tendency in either of two directions. On the one hand, individuals who find themselves unemployed, impoverished and stripped of their savings may feel increasingly excluded and incapable of reacting politically, which would explain the silence of many victims of the crisis. On the other hand, individuals could also find themselves transformed into social actors who are defined increasingly in moral and universal terms, in which case the crisis could help to precipitate a long-term cultural evolution. We are facing a future as yet undecided, a future hovering between catastrophe and radical reform. This book explores the factors that could tip the balance. Alain Touraine is Research Director at the École des Hautes Études en Sciences Sociales, Paris. "This book is the most insightful sociological analysis of the meaning and impacts of the economic crisis by one of the leading social theorists in the world. It explains why this is a societal crisis that affects the life of everybody, including you."